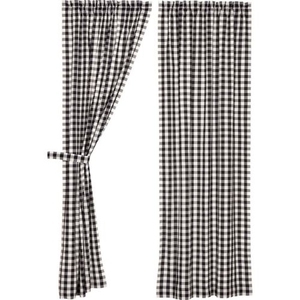 VHC Annie Buffalo Black Check Panel Set of 2 84x40, Available Now! 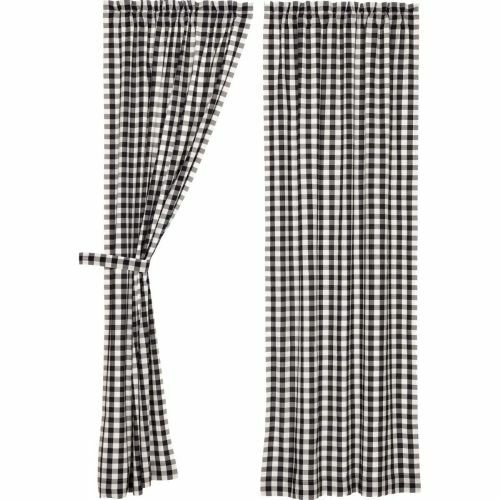 No need to wait until tomorrow, with the Annie Buffalo Check Panel Set you can let in the sun today (or keep it out if you prefer). Three-tone checks create a relaxed country look for your windows. 100% cotton, lined. Includes two matching tie-backs. * The description above varies by selected color. Please reference images and specific colors for clarification. Contact us on restocking fee for authorized returns.